While a mobile home is inexpensive compared with a stick-built home, you can upgrade it inside and out with modern materials and paint. Taking time to research and determine a style, such as contemporary, mid-century modern, country, shabby chic or eclectic, speeds the process of renovating and redecorating the space. Repurposing and reusing your existing furnishings helps control the budget. With imagination and careful planning, an old mobile home can become an updated contemporary home. Hire a home inspector. 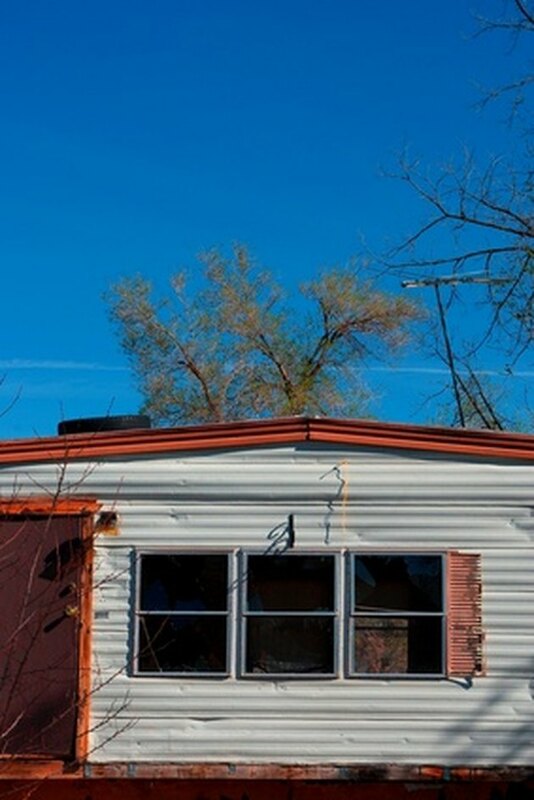 An inspection of the structure, plumbing, wiring and roof provides a realistic look at the amount of work that the mobile home may require to make it a safe and livable space. Old wiring in both mobile homes and vintage houses should be upgraded in order to carry the extra load of modern appliances. Install new energy efficient windows and new siding over the old sides if the budget allows. Power wash, prime and paint the outside in a neutral color scheme with a contrasting trim color. Do not forget to paint the porch. Plant a new landscape around the mobile home, concealing the skirting and other obvious indicators of the home's humble origins. Simple trellises or arbors with flowering vines or grapevines add a cottage look to the garden. A picket fence is also a nice finishing touch. Measure each room and draw a floor plan. Measure the furniture that you plan to use in your updated decor . Make paper cutouts of the furniture, to scale, so you can arrange and rearrange the furniture. Scrub the walls and ceiling with TSP cleanser. Wipe down with clean water. Spackle the little grooves in the paneling, and sand smooth. Then prime and paint with light, neutral tones to match your chosen decor. Remove the carpets and clean the subfloor. Install either laminate or engineered hardwood floors. If the budget is extremely tight, sheet vinyl is available in a wood grain that is very realistic as well as durable. Install sheet vinyl or ceramic tile in the kitchen and bathroom. Install new baseboards. Replace the kitchen appliances with good quality, brand-name appliances. High-end stainless steel appliances are not necessary, a simple white is clean and efficient. Install good quality laminate counters or granite tiles as a frugal alternative to custom granite counters. Sand and paint the cabinets or reface if necessary. New handles on doors and drawers dress up the kitchen. Decorate in your chosen style.